Representation of numerous public companies in Federal Securities Litigation; Counseling and representation of more than 25 San Diego and National based law firms and lawyers in various claims for breach of fiduciary duty, malpractice and intra-partnership issues in California and throughout the United States; Defense of Fortune 500 and International Companies in matters involving disputes based in the United Kingdom, Canada, Venezuela, Ecuador, Germany and the Far East; Representation of the City and County of San Diego on various litigation matters including the former Mayor, members of the City Counsel and City Attorney in a high profile termination and alleged breach of confidentiality agreement case; Defense of RICO claims against financial institutions; Acted as counsel for a major international record company in the prosecution of complaints against recording artists for breach of performance agreements and defense of claims; Counsel for Fortune 500 company in connection with more than twelve separate lawsuits for alleged anti-trust violations associated with California electric utilities market. 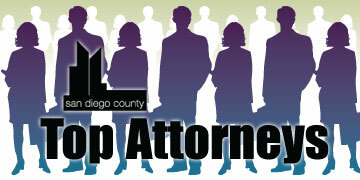 I am a partner and chair of the Litigation Department in the San Diego office of Latham & Watkins LLP. Over the course of my career, I have litigated and tried a wide variety of cases involving major public and private companies, have represented many corporate, banking and other professional clients, including nationally recognized corporations, accounting firms and prominent lawyers and law firms. As an attorney or arbitrator I have participated in major arbitrations, bench and jury trials and appeals in both state and federal courts including the U.S. Supreme Court. I am a member of the executive committee and a master of the Bench of the Inn, American Inns of Court, Louis M. Welsh Chapter, and was a founding member of the Board of Governors of the San Diego Association of Business Trial Lawyers. I served as a director of the California Supreme Court Historical Society for four years. Presently I am a co-chair for San Diego County for the United States Supreme Court Historical Society. I’m a member of the American Arbitration Association, Panel of Arbitrators, a fellow in the American College of Trial Lawyers, and have also been a member of the American College of Trial Lawyers Southern California Selection Committee and currently serve on its Complex Litigation Committee, a fellow in the College of Arbitrators and am an Associate in the American Board of Trial Advocates (ABOTA). I have been privileged to serve as a member and chair of the Magistrates Selection Committee and an attorney delegate to the Ninth Circuit Judicial Conference for the Ninth Circuit Judicial Conference and from 2007 through 2009 was a member of the Advisory Committee to the Ninth Circuit Court of Appeal. 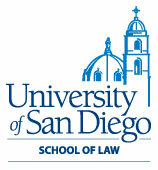 I participate in the activities of a number of local community organizations and serve on the Board of Visitors for the University of San Diego School of Law.